Container made of oxidized metal, gold-tone metal, nickel-plated metal, and glass (ribbon not included). 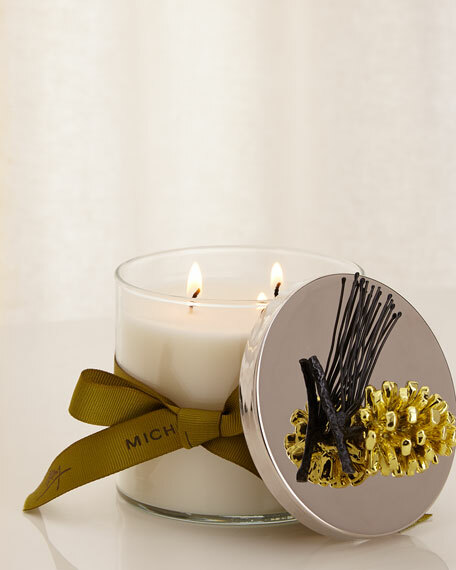 Scent: white cedar, pine needles, spruce bark, and fir mixed with mandarin and frosted orange. 3.75"Dia. x 5"T; 13.5 ounces. Burn time: approximately 40 hours. Lollia Another Quiet Day Candle, 7.8 oz.